The Independence Square commemorates Ghanaian independence from Britain in 1957 and is the site of the annual Independence Day parades. The Independence Square commemorates Ghanaian independence from Britain in 1957 and is the site of the annual Independence Day parades. 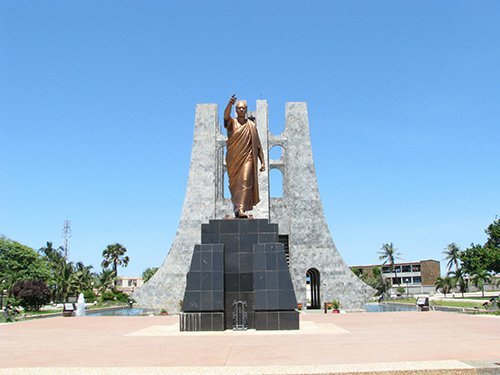 It features an eternal flame first lit by Kwame Nkrumah, the first president, in 1961. On the square are the Independence Arch and Black Star Monument. 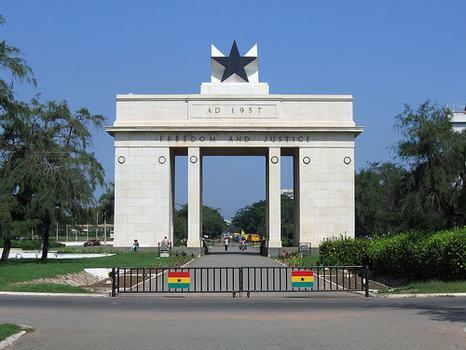 It is also known as Black Star Square for the large black star located atop the Black Star Monument.